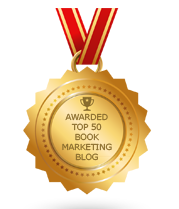 BookMarketingBuzzBlog: Where’s The Book Of Bookstores That No Longer Are? Where’s The Book Of Bookstores That No Longer Are? A friend of my sister had a book published a few years ago that featured photographs of Jewish synagogues that had been converted into churches. I thought it was an interesting endeavor, to capture a piece of lost history through art. I recently came across another photography book that uniquely captures a piece of lost culture, a book of photos that depicts the decay and rot of abandoned, boarded buildings that used to be lively hotels and bungalows, in an area fondly known as The Catskills. It was nicknamed the Borscht Belt because it serviced mainly a Jewish clientele, filled with famous entertainers who had their hey day in the 50’s, 60’s, 70’s and 80’s. Both books make me wonder if such a book will be done to highlight the spaces of former bookstores. I have a poor sense of direction but I know where every bookstore is – and I recall where bookstores used to be. There was a Barnes and Noble in Lincoln Center, gone, in the Village, gone, by my office in midtown, gone. There was a Borders near my house, and a few blocks from my office, both gone. There are others, but I don’t want to fill a small phonebook up. Some of these spaces remain empty, even years after the bookstore left. It’s hard to believe that these cultural centers can close down and then nothing even comes in to replace them. I can picture the book about shuttered bookstores. It would show photos of when the store flourished and then the images of empty, abandoned shelves. Other photos would show what fills those spaces today. Would such a book make us sad – or would it make us feel like we were honoring the past? Could we be hopeful that a new bookstore renaissance can come in the near future? Bookstores, to me, are holy sites, on par with churches, temples, and mosques. This is where learning takes place, where young minds are shaped, where people are influenced and inspired, and where readers meet writers. Bookstores help promote the written word and give citizens a place to gather in support of books. When a bookstore closes, I shed a tear and feel like a piece of me was extracted or damaged. Maybe the best way to honor and promote bookstores is to discover the ones that exist today. When I typed the phrase “best bookstores” into Google, I was pleased to see a ton of entries. Gothamist ranked the best indies in NYC. Time Out listed them too. Huffington Post, Buzzfeed, and many others had terrific pieces that highlighted some real jewels – Strand in NYC, Books & Books in Coral Gables, Faulkner House Books in New Orleans, Dog Earred Books in SF, The Last Bookstore in LA, Politics & Prose in DC, Powell’s in Portland, Oregon, and Tattered Cover Bookstore in Denver. I have heard about a book that celebrates bookstores, but haven’t read yet – Footnotes from the World’s Greatest Bookstores by Bo Eckstein. It highlights over 100 stores and several hundred stories. BBC.com posted a story a few years ago about 10 of the world’s most beautiful bookshops, which included Polare in Maastricht, El Atenes in Beunos Aires, El Pendulo in Mexico City, and Shakespeare & Co. in Paris. They are some glorious-looking places! Would it be haunting to have a photography book focus on what remains physically of the places that used to nourish minds and civilize the masses? Do we want to highlight what used to be but no longer are? The obituary of the bookstore is being written by some, but hopefully it never gets completed. But the obituary for specific bookstores would be a means to honor our rich biblio history and to perhaps make readers long for a return of some of these amazing bookstores. I love your blog, Brian--one of the few I read regularly--but I just wanted to say that bookstore openings have been up 30% since 2009. The renaissance is definitely happening. I toured bookstores for a period of 15 months over three years--they are in every pocket of this country. Thanks for the blog!